You might be able to hear it from where you are—a kind of buzz, growing into a thunderous hum of meticulously sculpted noise. 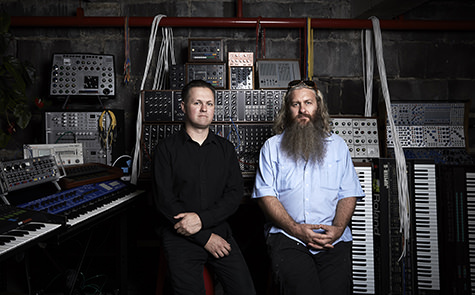 This is the sound of analogue synthesiser enthusiasts’ collective anticipation, as they await their first visitation to MESS—the Melbourne Electronic Sound Studio. MESS is the creation of Robin Fox and Byron J. Scullin. Fox has appeared many times in RealTime with his audaciously awesome laser noise spectaculars (see realtime tv). Scullin is an educator (currently at RMIT), audio engineer (mentored by the famous Francois Tetaz) and sound artist collaborating with many of Melbourne’s contemporary performance companies. MESS is a little like a lovechild of the 1960s BBC Radiophonic Workshop and the Electronic Music Studio, but true to 21st century preoccupations, it’s all about interaction. What’s getting everyone so goddamned excited is that MESS will offer unheard of levels of public access to a staggeringly large and unique collection of analogue synthesisers and electronic instruments. For Fox, the idea has been incubating since he inherited Keith Humble’s collection of rare electronic music-making machines. Humble was the driving force behind La Trobe University’s transformative Music Department (1975-99) and hugely influential in the development of Australian electronic music (see Experimental Music, Audio Exploration in Australia, editor Gail Priest, UNSW Press, 2009). Fox came across the collection via his step-father, Jim Sosnin, Humble’s technician during this period. Given Fox’s hectic touring schedule, he had been feeling lately that it was a waste to have these machines sitting unused in his studio and began scheming to allow others access to them. From Scullin’s perspective, “As well as being tools and devices for making sound, [these machines] all tell stories. They all talk about the bias of their designers’ thinking about how electronic music can be made and articulated.” Through the use of these machines it’s hoped that stories will be relived, embedding this legacy in contemporary practice and providing continuity. Putting historical importance aside for a moment—given there’s so much music-making potential in the slim, shiny lozenge of a laptop—what is so good about these bulky machines with no screens, a spaghetti of patch leads and more knobs than, well…any online tech forum? Given the attendant fan culture for these machines, high on the MESS agenda is accessibility for a broad range of people. Fox says “It would be easy for this place to fill up with beardy white synth nerds like me and while I love those guys—essentially they are my people—it would be a really annoying place if that was the only dynamic.” With that in mind, the two will be implementing proactive strategies in terms of engagement, education and employment to ensure that non-bearded folk—women for example—will be an integral part of the growing community. There are four aspects to the program to be rolled out over a three-year incubation period. First is the members’ studio which will offer 500 subscribers the chance to get their hands on the machines. To enable access to a larger number of people, the organisers are offering a hot-desk model rather than a solo studio situation. Members can book a desk, select some machines from the season’s collection, don headphones and dial up some noises, recording them for later use. The MESS school will offer workshops and courses taught by artists along with guest presentations. Fox and Scullin are very clear on the idea that these are courses to be undertaken for the joy of learning, rather than any form of academic or vocational accreditation. Fox is particularly excited by the prospect of curated listening sessions (an idea inspired by composer Warren Burt) where you sign up to listen to examples of interesting music, discussing it with other artists and experts. MESS Show will be the presentation arm of the organisation, comprising performances and recordings from artists working in the studio and from visiting guests. There are also plans for a residency program to allow artists to have a more intense engagement with the collection. Finally MESS Schematic is the technical workshop component. Not only will it conserve and maintain machines but will bring in senior artists and engineers to train up younger enthusiasts to ensure that specialised knowledge is retained. 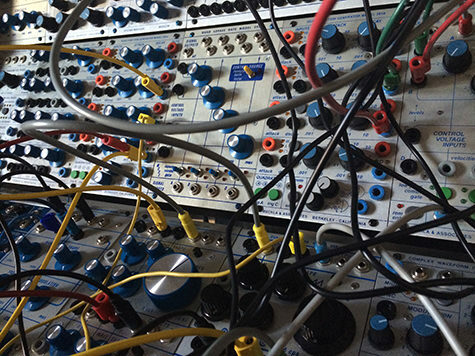 In the far future there are also plans for MESS to produce its own range of Eurorack-style modular synthesisers. To gain some sense of the collection I ask Fox and Scullin to each name their favourite. Fox proposes the Transaudio Pro Case 6, an Australian invention of which only three were made. 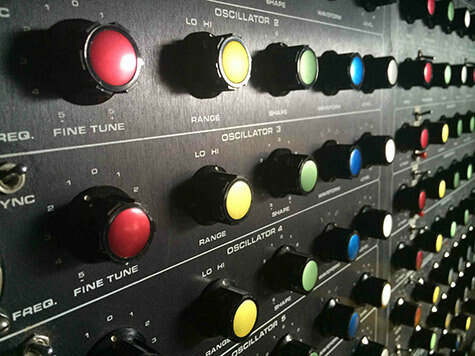 It has a six-oscillator synthesiser and an unusually numbered 10-step sequencer that Jim Sosnin designed. “It’s a beast of a thing and it’s unique in the collection. It’s the one that I like to spend the most time with. But it’s a really tough choice because we did just take delivery of the reissued Moog System 55,” the iconic mammoth unit used by pop royalty in the 1960s and 70s. If you’re being deafened by the hum of anticipation, just hold on until Member Subscriptions to MESS open in early March, when it’s bound to get wonderfully noisy. Take a look at the following: a trailer for a great documentary, i dream the wires; Suzanne Ciani performing live with a System 55 reissue (available in the MESS studio); Morton Subotnik demonstrating a Buchla (MESS has one of these); Eliane Radigue playing her ARP2500 system; Tangerine Dream playing a number of synths in 1976; Klause Schulze at WDR Koln in 1977; an EMS Synthi; and works by the pioneering Daphne Oram.